Here is a great deal on a fun Easter Basket item! The T.S. 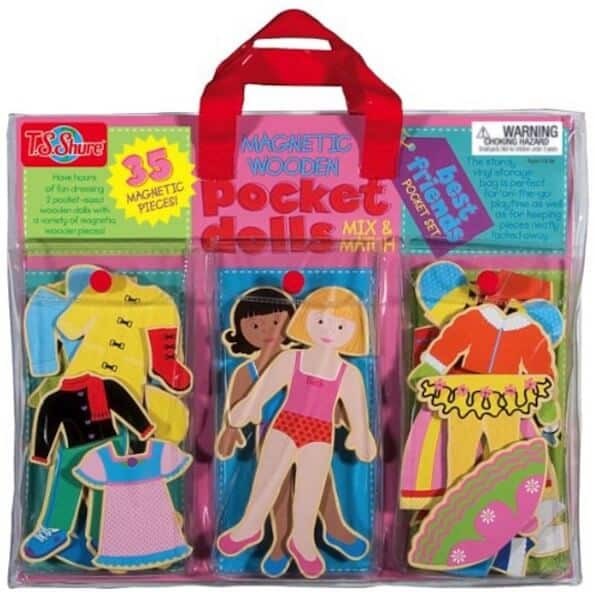 Shure Pocket Dolls Best Friends Wooden Magnetic Dress-Up Dolls is on sale for $9.99 at Amazon right now. That's 50% off the list price of $20! Set comes in a convenient carrying case with great snap pockets.